Thank you! It is simple. I have not realized, but this is where i’m up to, being still, noticing, and asking who or what is noticing. Who is asking? This is turning in to source, i think, nothing there! So wait without expectation. This ‘school’ is very very different. I like it because it is about nature and a natural, unforced process. Thank you again — and namaste! oops ! 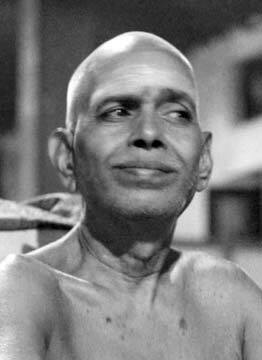 ‘All that is necessary is to get rid of the thought, ‘I have not realized’.’ Ramana’s words from Katz’s book. That was quick! Regards. Yes. Glad the teaching of Bhagavan resonates with you. Jerry Katz is a wonderful exponent of nonduality. The ‘you’ mentioned here is not the you as commonly understood but refers to that non ego state. Something that very few actually live. The ‘understand’ here is not through an intellectual operation of the mind however logical but one that results in awareness/non ego state.